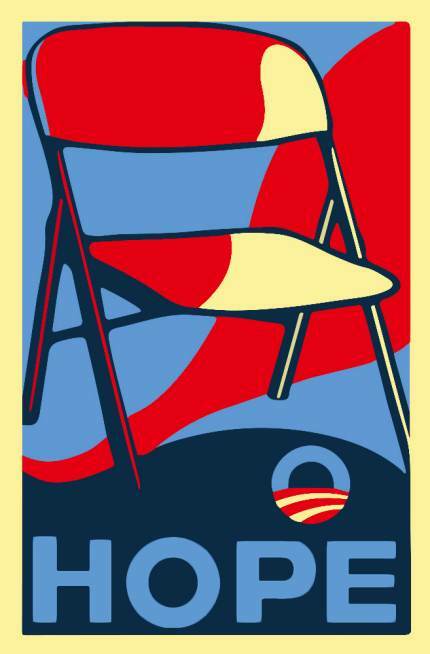 Politico:Right rallies for ‘Empty Chair Day’ — The right rallied on Labor Day to celebrate “National Empty Chair Day,” a show of solidarity with Clint Eastwood after his rambling address to an invisible President Barack Obama at the Republican National Convention last week. Peter Slutsky / Change.org:Democrats: Ask Betty White to Introduce President Obama at the DNC — Clint Eastwood, the Republican’s “mystery guest” at the RNC, gave a bad name to older Americans everywhere with his absurd and awkward-to-watch introduction of Governor Romney. — You know what? National Empty Chair Day (photos from around country) — UPDATE – No new submissions being accepted for now, the response was so overwhelming that there’s already a huge backlog. — Today is the impromptu National Empty Chair Day, which I covered on Saturday night when a reader alerted me to the idea.